This is easy to use, easy to apply and okay drying (4-5 minutes a coat) - sorta slow for a texture though! 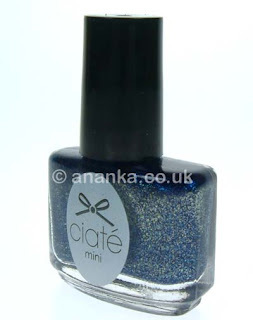 This is a really nice blue with lovely sparkles. I was really impressed with it and it applied well. Noticed slight tip wear after 24 hours but lasted well otherwise. I must admit - I really like it. have a good evening! 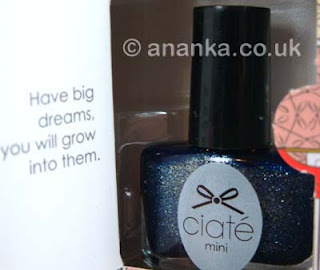 Well, you know me and textured polishes ;o), but this one seems to be another exception. It looks really nice. Perfect color dear! Lovely texture! A lovely colour and a great sparkly look!! It really is John :-) I do like the sparkly look it has :-D Thanks.